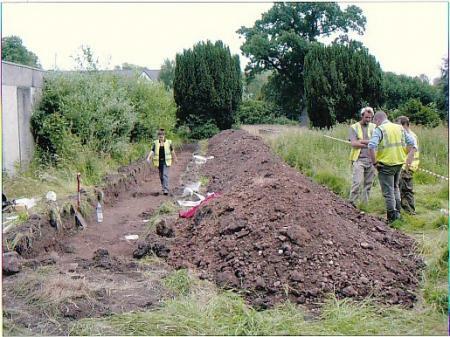 Richard Clarke, Senior Planning Archaeologist at Leicestershire County Council and his team in June 2006. 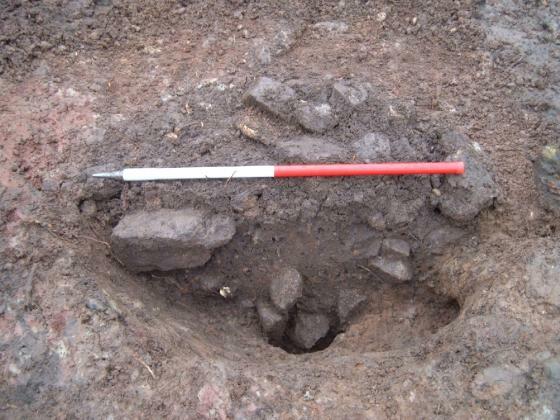 They were supervising the initial investigation by Oxford Archaeology prior to the sale of The Grange and any subsequent planning application. 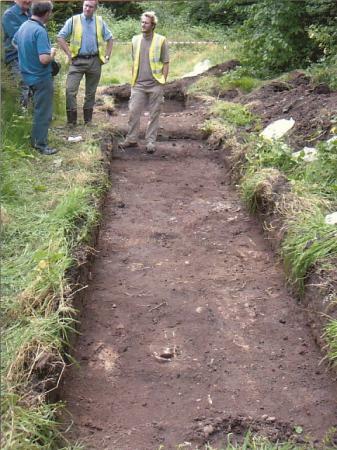 As a result of this work, when evidence of burials was found, a full-scale archaeological exploration was made a precursor to any future grant of planning permission. The skeletons were in a shallow grave. William Davis finally received planning permission for their scheme to create stylish apartments in the Mansion, and in three new buildings on the site. 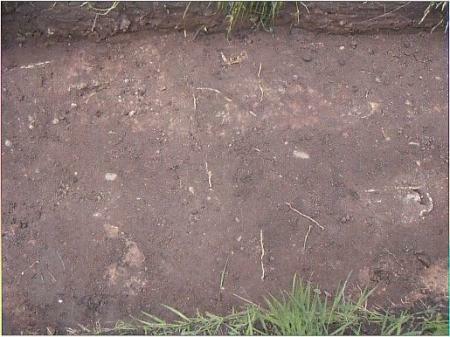 Davis engaged Northampton Archaeology to do the required investigation, which uncovered a very extensive Saxon Christian burial site. 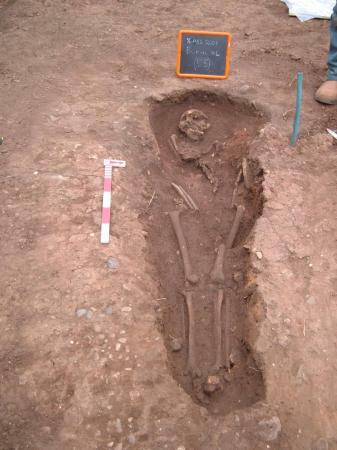 Almost 300 exhumations were made, which are still being extensively studied in University departments. The various dating technologies used on the bones show that the subjects were buried in a steady sequence from about 680AD to 980AD. 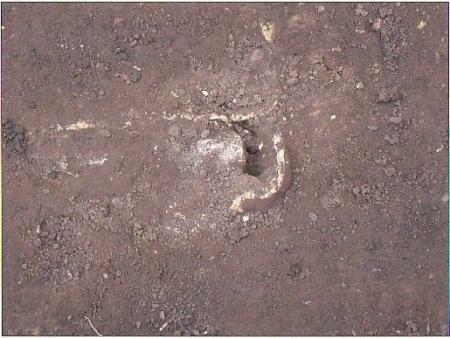 This burial was in a clean cut individual grave, unlike most of the other exhumations. 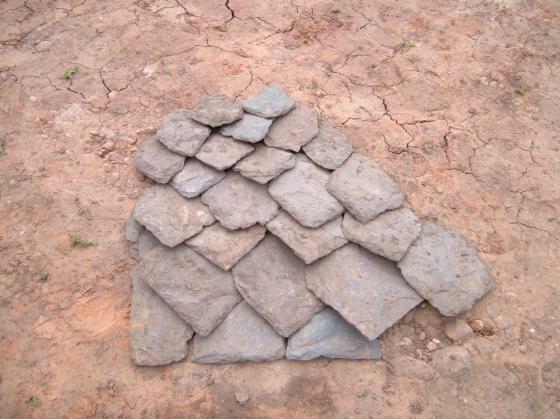 Many collapsed Roman roof tiles were unearthed, and re-assembled how they might been in position. Part of a series of holes indicating a logitudinal shaped building.